As musicians, we are creative athletes, and as with other sports, music-making as a discipline has both mental and physical aspects. In order to share our music in a compelling and convincing way, our preparation and performance must satisfy both the intellectual and the corporeal demands of our craft. This is no simple endeavor. An article and SHORT (I promise!) video from me about learning, and how to connect our practice room work with our performance. A wonderful interview with The Bulletproof Musician/Juilliard faculty/Performance Coach Noa Kageyama. He calls being bulletproof, “getting lost in the doing…” and delves deeper into this subject, and other valuable approaches to training and psychology. We’re going to meet our maker Darin Sorley this month! Andre Cazalet will be writing our pedagogical article. Though this work might be frustrating at times, I can usually find a way to appreciate how complex this learning is. With each day, I get to try to simplify my complex discoveries into usable pieces, put those pieces together, and go out there to try to share some beautiful musical lines out my bell. We are all at this place because we’re always learning…and we always have potential growth ahead of us. About a year ago, I was doing some intonation work, and choosing to get frustrated with the slow progress. I was feeling uncomfortable with my work because I’d been seeing pretty much the same level of results over days and weeks. One day I went to a lecture by music education learning coach Gregg Goodhart, and he revealed this graphic. I was VERY relieved to see this!! So, that uncomfortable feeling was simply due to me being out of my comfort zone? I was in a good place when I was feeling uncomfortable!? 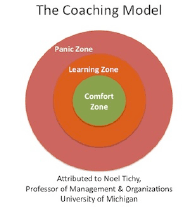 And it’s called the Learning Zone. Nice. This graphic explains an important idea in regards to how we approach our time both in the practice room and onstage. The comfort zone is fine. Hang out there. There are some seriously good super-hero movies worth watching! But once you’re working, leave your comfort zone and get learning. Push yourself. If you’re in your comfort zone, you’re maybe not doing badly, but you might be missing out on some growth. Jeff Nelsen: How did you get into all this performance psychology stuff? The instructor was Don Greene, who was ex-military, and a sport psychologist who had worked with Olympic athletes. I’d never heard of sport psychology before, and I had no idea what to expect from the class, but it certainly sounded interesting. After a lifetime of inconsistent performances with way too many highs and (mostly) lows, I was intrigued. So I signed up, and totally got hooked on the fact that there were concrete, specific skills I could work on to help me perform better on stage: anxiety management, confidence building, focus, and mental toughness. It wasn’t abstract, theoretical stuff, but actionable, research-based techniques and strategies that made a big difference in how I prepared for performances, how I approached performing, and how I felt about performing. And since I wasn’t really sure what I wanted to do when I finished my degree, and didn’t feel like I was ready to go out into the “real world” quite yet, pursuing a degree in psychology seemed like the most intriguing of my options at the time. One thing led to the next, and as I kept following this area of natural curiosity, it gradually grew into teaching, writing, and working with musicians in a way that I never would have imagined. According to the IHS Bylaws, the Advisory Council (AC) is “responsible for carrying out the aims and purposes of the Society and for determining Society policy.” Nine of the fteen AC members are elected by the IHS membership; the AC elects the others. As you nominate and elect new AC members, remember that these individuals represent a broad spectrum of international horn-related activities. Nominations for election to the Advisory Council three-year term office, beginning of the 2017 Symposium and ending after the 2020 Symposium, must be received by Executive Director Heidi Vogel before December 1, 2016. Nominees must be members of the IHS and willing to accept the responsibilities of the position. Nominations must include the nominee’s name, address, telephone number, email address, written consent, and a biographical sketch of not more than 150 words. Nominations by fax and email are acceptable; consent must originate from the nominee. Terms of the following AC members expire in June 2017: Frank Lloyd, Young-Yul Kim, and Jeff Nelsen are completing their second terms and are therefore ineligible for reelection this year. Louis-Philippe Marsolais is completing his first term and is eligible for nomination. For many years, horn players and teachers have been interested in studying the physical phenomena associated with their art. Much has been written regarding breathing, formation of the embouchure, playing posture, and even hand position in the bell. Commentary regarding these physical manifestations is commonly based upon what can be externally observed, and much can be learned in this way, particularly from those elite performers who have become masters of their instruments. Philp Farkas’ photographic study of the embouchures of virtuoso horn players immediately comes to mind. As a young student I spent many hours on those revered pages. An area, however, that has been shrouded in mystery concerns the many movements that occur inside the airways and oral cavities of fine horn players. A quick perusal of the available literature will reveal many different points of view regarding playing mechanics, particularly in reference to tonguing, tongue position during sustained and changing notes, oral cavity configuration when playing different dynamic levels, movements of the larynx, and even control of the glottis. At best, the savvy artist/teacher will develop a set of guiding principles based upon their own kinesthetic perception; principles that they believe allow them to have success. The ensuing logic is obvious: if great performers believe that they do things a certain way, then their opinions must be valid, and ought to be replicated in students. But what happens when great performers believe different things about what they do, particularly in regard to the inner workings of the mouth and throat? Real-time magnetic resonance imaging (RT-MRI) provides a tool that promises to lift the veil of uncertainty that obscures our understanding. Since the fall of 2013, it has been my distinct privilege to give impetus and direction to a series of studies being conducted at the Max Planck Institute for Biophysical Chemistry in Göttingen, Germany in collaboration with The Institute for Music Physiology and Musician’s Medicine, Hannover, Germany. For the first time, we are able to safely and systematically study movements inside airways and oral cavities of brass performers by recording movies utilizing this new technology. A l’instigation de mon ami Ab Koster, qui m’invite à intervenir dans la rubrique pédagogique de l’IHS news letter, permettez-moi ces quelques lignes, qui, je l’espère, susciteront votre intérêt. Il est très difficile de théoriser sur la pédagogie, qui se réfère plus à l’enfant, et sur la didactique, plus à l’enseignement, en raison de leur étymologie. Le professeur d’instrument de musique se doit de maitriser ces deux disciplines. Si la pédagogie est généraliste, la didactique est spécifique et concerne une discipline particulière. Mon expérience de professeur de cor au Conservatoire National Supérieur de Musique et de Danse de Paris (ci nommé après CNSMDP) depuis 1985, soit 31 ans cet automne, m’incline à penser que la relation psychologique qui s’établit entre l’enseignant et l’étudiant est primordiale et déterminante pour l’évolution de ce dernier. This month, our feature for “Meet Your Maker” is Indiana-based horn builder Darin Sorley. We hope you enjoy this look behind the scenes of a one-person horn shop! 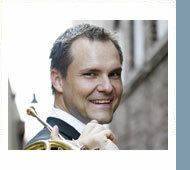 Andrew Pelletier: What brought you to the horn? What is your horn back-story? 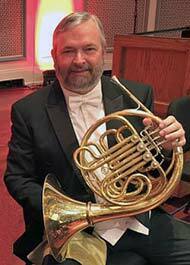 Darin Sorley: I began playing the horn at age 12 in the public school system in Indianapolis, Indiana. My older brother had played the horn a bit, so I knew how to get a sound out of it. My brother’s horn was also the beginning of my repair career starting with the bending back of the bell after one of us tripped over it. I was lucky in that the Junior High School I attended had a repair room and the band director allowed me to do basic maintenance on some of the school instruments, which sparked my interest in how things worked. I do not have the “typical” career path of most horn makers in that I began my career as a band director. I attended Butler University and received a Bachelor Degree in Music Education and most importantly, met my wife of 30 years, Rebecca. I then taught instrumental music in grades 5-12 for the next 3 years in Indiana. During that time, I started taking lessons with Philip Farkas at his home in Bloomington in order to begin auditions for my master degree in horn. I was accepted into the Cleveland Institute of Music and began studies with Richard Solis, and after a wonderful two years at CIM and attending Cleveland Orchestra concerts, I received my Master Degree in Horn Performance. After Cleveland, I returned to Indiana to teach for four more years before pursuing my Doctorate degree at Indiana University where I studied with Michael Hatfield. 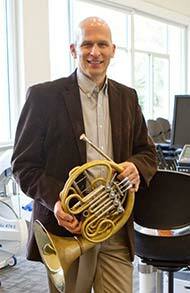 While at IU, I studied natural horn with Rick Seraphinoff, which eventually lead to my horn-building career. It was three years after finishing my course work at IU, teaching at the University of Evansville and then a one-year position at Southwest Missouri State, that I began my horn-building career. 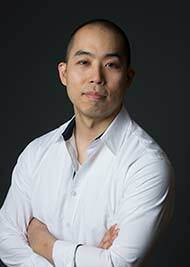 After moving back from Missouri to Indiana, I started my freelance-playing career in the Indianapolis area. 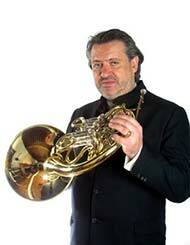 I had always had an interest in building a horn so I contacted the only person I knew doing it...Rick Seraphinoff. During the summer of 2000, I built my first (and only) natural horn, 3 crooks and 2 couplers all under the guidance of Rick. I like to tell everyone, that during that summer, I built my one horn and Rick made six!